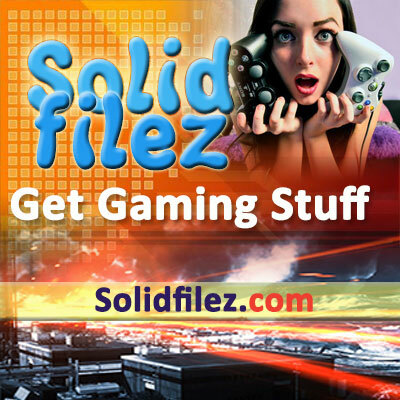 Welcome to Solidfilez Cheats, your source for gaming news, review, cheats, and trainers. We have a passion for gaming and we want to share it with many other fans out there. We do this by providing great, and useful reviews about your favorite games, including background information about its development and give some insight about its creation and teams who build these games from the ground up. At Solidfilez we wish to create a friendly atmosphere for all gaming fans including avid, pro, or intermediate gamers alike. This is a safe space where we can all share information about our favorite games, and give tips and tricks that will help us enjoy our favorite games. These tips will work for all the major current gen consoles including for pc. Games are a part of our lives, and most of us have played games since as long as we could remember, and we also know someone else who enjoys gaming. Due to the wide variety available there will always be something for everyone, regardless of how seriously you take your gaming. There are even mobile games out there as well, so that people can game on the go. It’s really a great time to be alive in gaming history, as hardware has gotten even more impressive and powerful, and are now capable of bringing a game to life with stunning visuals and clarity. These are some of the reasons we enjoy games here at Solidfilez, so much that we have to talk and write about it to anyone who wants to read. We want to tell you more about the games you enjoyed, and you may even find more timeless titles from your childhood which are classics. Here you can find cheats for old and new games, reviews, tips and tricks. And we can even share links to useful trainers out there that you can take advantage of to make your favorite games much more interesting. Click here to see our available list of games.